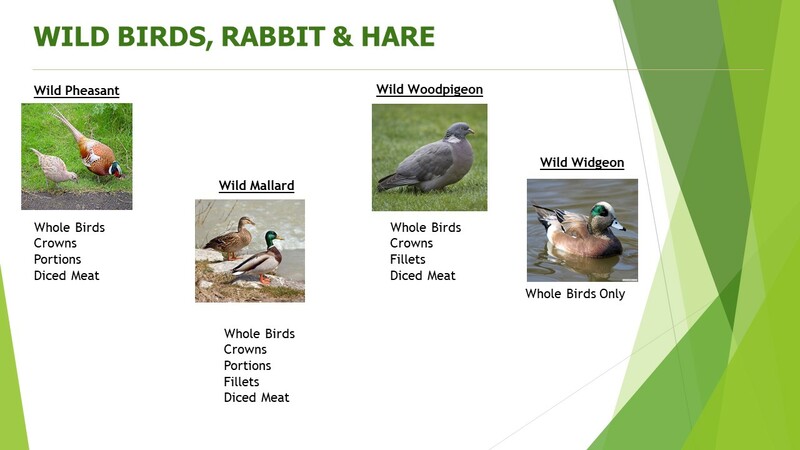 We’re dedicated to ensuring all our meat and game is sourced from respected suppliers who share our philosophy. 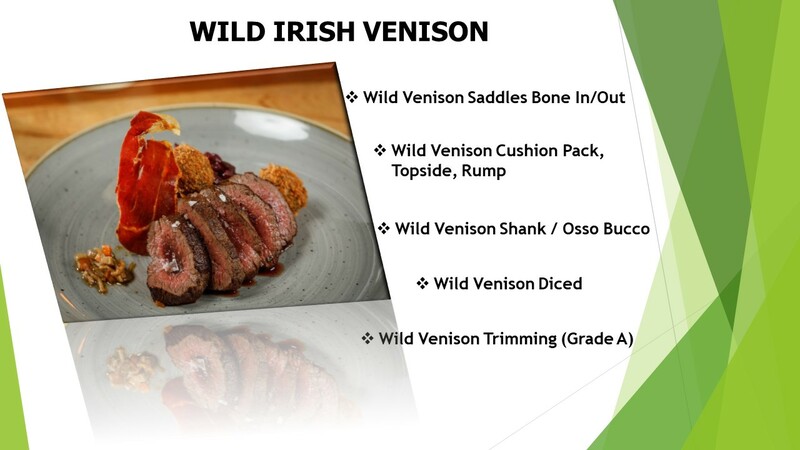 All our wild game is sourced exclusively from approved Irish hunting grounds, within strictly defined seasons, and is fully traceable by date, location and all information on the hunter. 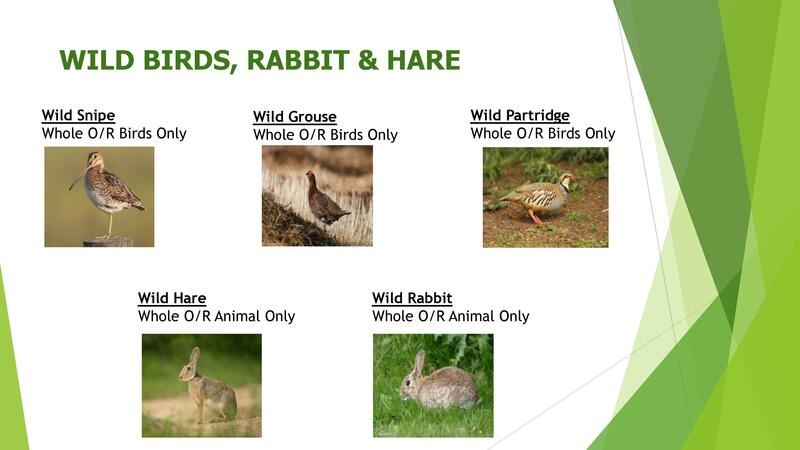 Species not freely available in Ireland are sourced from our longstanding partners in Britain, Europe, South Africa and Australia. 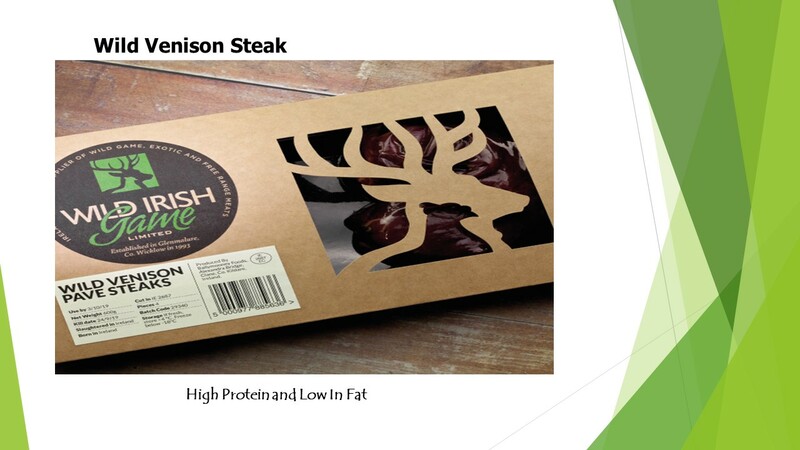 Available whole, primal, prime cuts or fully prepared. 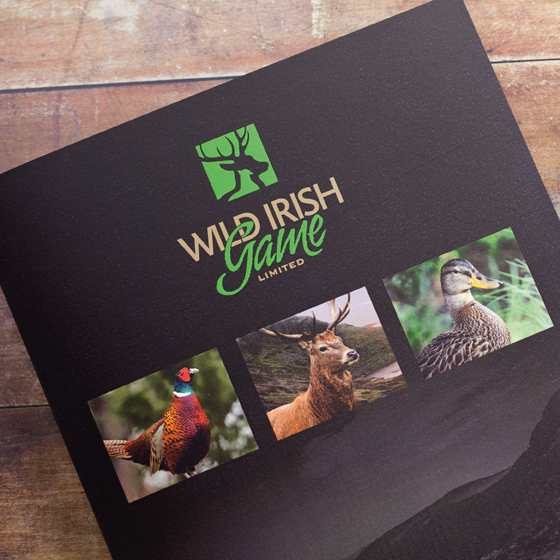 To order please contact our sales team on t: +353 (0)45 892000 or at info@wildirishgame.ie.